About Blog The Journal of General Physiology's (JGP) mission is to publish mechanistic and quantitative molecular and cellular physiology of the highest quality, to provide a best-in-class author experience, and to nurture future generations of independent researchers. Facebook fans 11,375. Twitter followers 811. United States About Blog At the American Physiological Society (APS), we believe that physiology is everywhere. On this blog, we’ll endeavor to answer the questions “What is physiology?”, “Where is physiology?”, and “Why does it matter to you?” through current news and health articles and research snippets highlighted by APS members and staff. We’ll also explore the multifaceted world of physiology and follow the path from the lab all the way to the healthy lifestyle recommendations that you receive from your doctor. Facebook fans 13,132. Twitter followers 3,237. About Blog Dr. Wells is an Assistant Professor in Kinesiology at the University of Toronto and an Associate Scientist of Physiology and Experimental Medicine at The Hospital for Sick Children. At U of T Dr. Wells studies elite sport performance, and at Sick Kids he leads the Exercise Medicine Research Program where his team explores how to use exercise to prevent, diagnose and treat chronic illnesses in children. Facebook fans 23,359. Twitter followers 7,591. London About Blog Nature Research is part of Springer Nature, a leading global research, educational and professional publisher. Physiology is the branch of the biological sciences that deals with the life-supporting functions and processes of living organisms or their parts. The study of physiology aims to understand how living things work, which can then aid the treatment of diseases. Find the latest research, reviews and news about Physiology from across all of the Nature journals. Facebook fans 769,804. Twitter followers 1,363,229. About Blog The Journal of Physiology publishes original Research Papers in all areas of physiology and pathophysiology illustrating new physiological principles or mechanisms. Papers on work at the molecular level, cell membrane, single cells, tissues or organs and on systems physiology are all encouraged. Facebook fans 4,142. Twitter followers 17,112. Weldon Spring MO About Blog I've worked as an anatomy & physiology professor for several decades, having taught at high school, community college, and university levels. I write A&P textbooks and manuals. I am a President Emeritus of the Human Anatomy and Physiology Society (HAPS) and a founder of HAPS Institute, a continuing education program for A&P professors.Find Tips, content updates, teaching tools, resource links, and conversations related to teaching and learning human anatomy and physiology. Facebook fans 494. Twitter followers 532. UK About Blog The Physiological Society brings together over 3,500 scientists from over 60 countries. Since its foundation in 1876, its Members have made significant contributions to our knowledge of biological systems and the treatment of disease. We promote physiology and support those working in the field by organising world-class scientific meetings, offering grants for research, collaboration and international travel, and by publishing the latest developments in our leading scientific journals. Facebook fans 5,509. Twitter followers 9,260. About Blog As an Accredited Exercise Physiologist, Pilates instructor and Personal Trainer, I want to help you achieve your best health. SK active is your solution for ultimate wellbeing including physical fitness, nutrition, and lifestyle advice. My main focus is movement because I believe that exercise is empowering and can open so many doors for you in life. It could simply mean having more energy, pursuing travel dreams, or improving your mood. Bethesda, MD About Blog Read physiology educators' perspectives on educational issues including education transformation, developing and using core concepts and competencies, using evidence-based innovations in student centered learning, aligning teaching and assessment, building educational research skills, facilitating educational research collaboration, and publishing and funding educational research. Facebook fans 1,848. Twitter followers 291. Bath, England About Blog My name is Kimberley and I’m a skeleton athlete from the Isle of Wight. My dream is to win a gold medal at the 2022 Beijing Winter Olympics. Prior to trying skeleton I used to compete nationally and internationally at long jump (athletics). I have two degrees and worked as an exercise physiologist in high performance sport prior to a sabbatical to pursue my own sporting goals. Facebook fans 357. Twitter followers 1,814. Brisbane About Blog At Coordinated Fitness we Guarantee your health plan designed in your initial consultation or your session is free. Your health plan is so important as it creates the framework of your success. We focus on Living Through Movement and recognise Exercise is Medicine for prevention of illness and in treatment of exercise. Facebook fans 245. Twitter followers 9. About Blog I've worked as an anatomy & physiology professor for several decades, having taught at high school, community college, and university levels. I write A&P textbooks and manuals. Here, I share the story behind the choices our team makes in revising and supporting Anatomy & Physiology. I also offer tips, shortcuts, and advice in using the book and related resources to teach in the classroom, student lab, and online. Facebook fans 85. Twitter followers 18. About Blog Medicine in Motion Health Group comprises of Accredited Exercise Physiologists who use exercise as treatment and prevention of chronic disease and injuries. About Blog At Chris Dounis Exercise Physiology we believe in a holistic approach to managing your health, whether your goal is to improve your fitness, lose weight, rehabilitate or just generally feel better about yourself. Balwyn North About Blog Our Exercise Physiology clinic at Inspire Fitness specialises in the management and treatment of medical conditions and injuries through advanced exercise and lifestyle management programs. Facebook fans 253. Twitter followers 157. About Blog This is the official blog site of the Human Anatomy and Physiology Society. We are the largest society of teaching professionals in human anatomy and physiology disciplines, and we welcome your involvement. We have regional meetings across the US, annual conferences, graduate-credit courses, and a host of other resources. About Blog Hi I’m Erin and welcome to Erin Parish Exercise Physiology! I’m an Accredited Exercise Physiologist with Exercise & Sports Science Australia (Bachelor of Applied Science: Human Movement & Health Studies). I am so very passionate about movement, exercise and positive lifestyle habits – because we are in the drivers seat of our lives and therefore we are in control of creating positive, healthful change. About Blog I am a lover of running and for work I mentor and encourage people to make the most of their health and help them to achieve their goals. Facebook fans 11,858. Twitter followers 80. About Blog Body Science EP is an Exercise Physiology service for chronic pain, chronic disease, injury management, falls prevention, workers compensatio and NDIS clients. About Blog Helen Ho is a Sydney-based Exercise Physiologist who is passionate about how exercise can help people to improve their health. 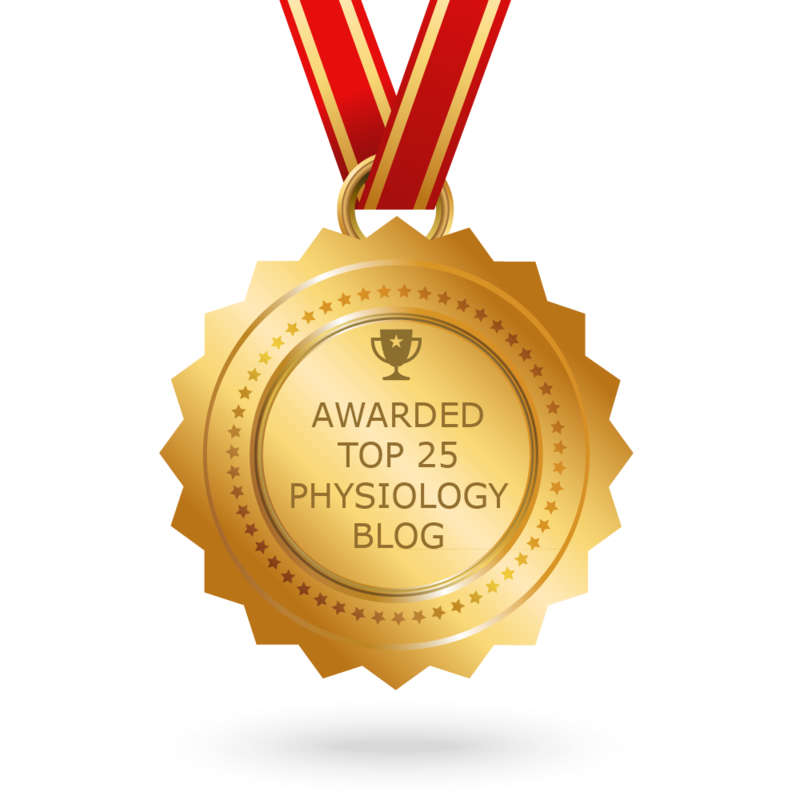 CONGRATULATIONS to every blogger that has made this Top Physiology Blogs list! This is the most comprehensive list of best Physiology blogs on the internet and I’m honoured to have you as part of this! I personally give you a high-five and want to thank you for your contribution to this world.